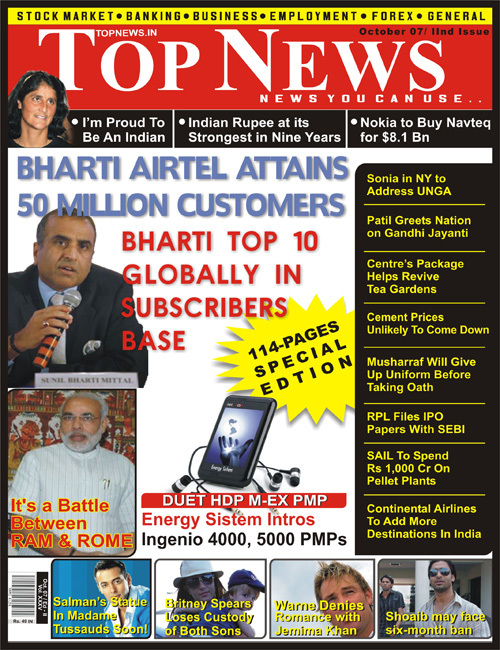 Bharti Tele becomes largest private sector Telecom Company in India and among Top 10 in the world in terms of subscriber base. US Dollar remains weak; analysts expect to go up to Rs 39. Stock Markets look strong and ready to touch 18000. Sunita Williams shares her views with Indian Scientists. Nokia buys Navteq and will offer mapping solutions in handhelds. Reliance Power to file IPO. Stock Picks: SAIL, Satyam, Reliance, Reliance Petroleum and SBI.